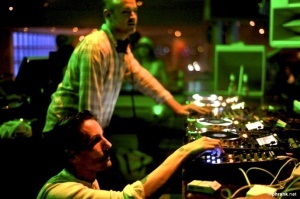 Ivan Smagghe & Tim Paris made a rare appearance under their It’s A Fine Line guise at We Love Space in Ibiza on September 4th 2011. The We Love team cut a cheeky bootleg hour and a half from that set and offered it to listen on their Soundcloud page. It’s the first live recording of Ivan & Tim’s numerous performance across the world to grace the interweb so enjoy ! This entry was posted on November 28, 2011 at 13:00 and is filed under Multimedia, News. You can follow any responses to this entry through the RSS 2.0 feed.